2 hole mounting pattern so rock cannot spin. 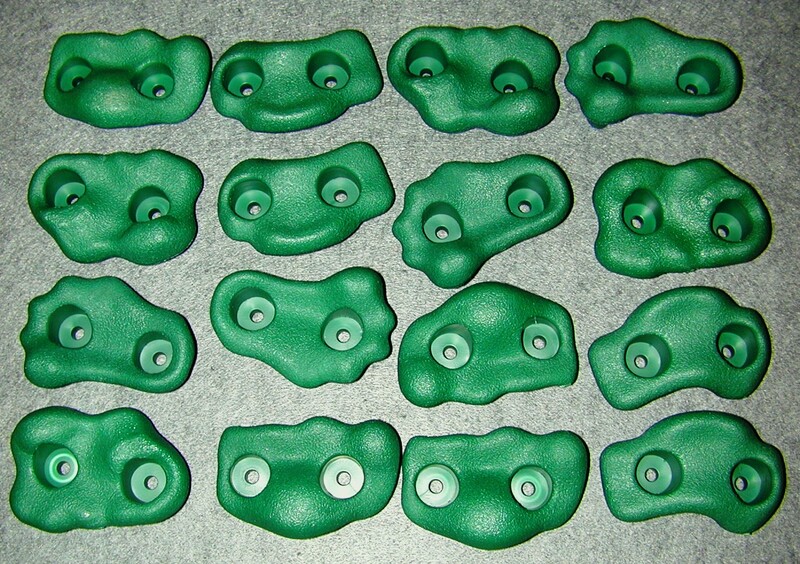 Rock holds are approx 3" x 5" with a depth of approx. 2 1/2"
Mounting hardware not provided. Recommend using at least one bolt in each rock rather than two lag screws if mounting to a soft wood like cedar or redwood. Let your Child’s imagination take over.